We know it’s just easier to stay at home when it’s pouring with rain and you have kids in tow. But getting out and about in the rain can just be what you all need. And with the right kit for each kids’ stage and age, you’ll never suffer from the dreaded rain-induced cabin fever again. 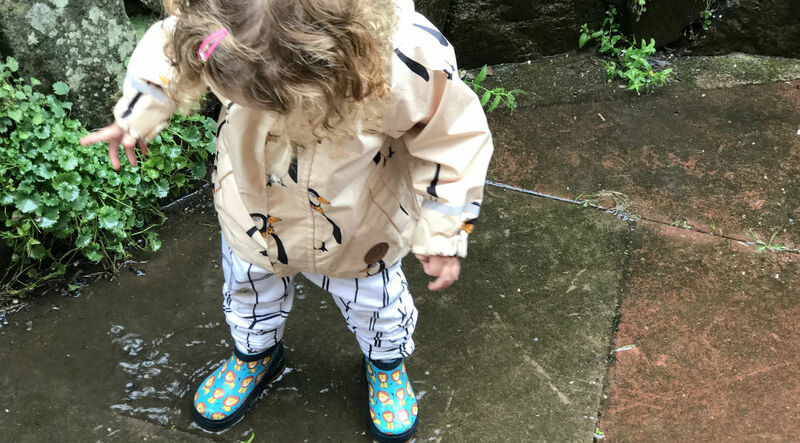 Here’s our pick of the best rainy weather clothing and accessories to make getting babies, toddlers and pre-schoolers out in the rain simple and fun. Let’s get started. At this stage they won’t really be mobile so the most important thing to do is make sure they stay warm and dry. Got them in a buggy? As well as a warm and toasty pram liner, they’ll need a good fitting pram raincover. Fitting most pushchairs, the Koo-di pack-it stroller rain cover is portable, lightweight and super quick to fit. There’s also a cool little window, which lets them peer out to get used to the rain as well as getting that all important fresh air without getting wet. Babywearing? There’s no excuse not to get out and about in the rain #sorrynotsorry. 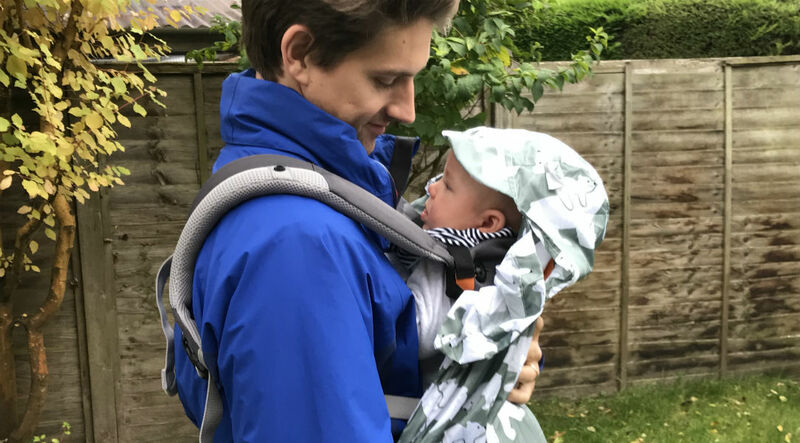 This Bundle Bean Babywearing Raincover is like a pac a mac for carriers. Perfect for warmer rainy days, it fits all slings and carriers and is fastened easily with elasticated strings. It’s also 100% waterproof and folds into a tiny bag for portability. Bundle Bean Babywearing Raincover, £30. There’s a whole range of benefits to getting young kids out about in wet weather. At a basic level, it gives them fresh air, which is great for kids’ immune systems, concentration and tiring them out. However, it will also build up their learning about different seasons and develop their touch skills too. And at this age, you can have fun kitting them out with the right rain clothing. If they’re walking properly, pick a pair of ankle welly boots over the traditional length. This style is lighter for new walkers and won’t be as cumbersome on their feet, meaning toddlers can run and jump around without being pulled down. These Poco Nido Flamingo Wellies feature a fun print and are ankle length for improved manouverabilty. Oh, and they’re also just the right height for lil' ones to put on themselves. Let the muddy puddle jumping begin! 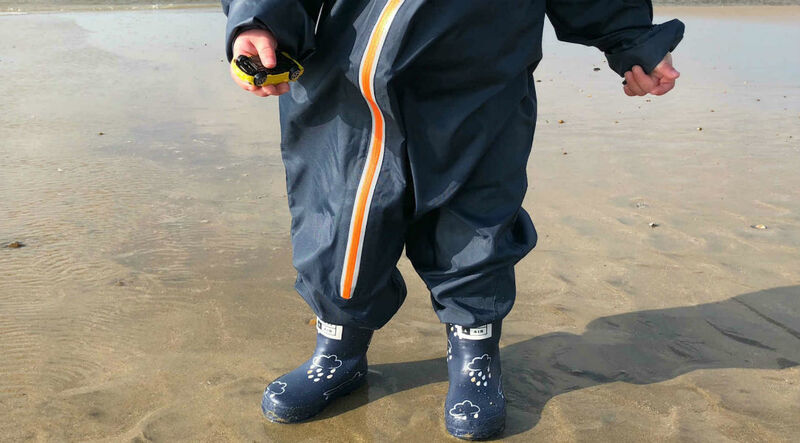 Unlike older kids, toddlers probably won’t be dashing around enough to keep warm, so investing in a waterproof all-in-one will keep them both warm and dry. This Grass & Air Stomper Suit is fully waterproof and has been designed with elasticated cuffs, foot stirrups and an elasticated back waist to ensure no rain gets in. It also has a reflective strip on the hood for safety too. When you’re done, just whip it off at the front door - no indoor puddles here! At this stage, you can also carry on developing those learning and sensory skills while they’re out in the rain, from teaching them ripple effects when rain falls into puddles, to telling them all about how rain falls from clouds. However, as we all know, pre-schoolers have their own minds, so you may come up against cries of protest when you suggest that rainy weather walk or day out. The answer? Distraction of course. Make them feel ‘all grown up’ with their very own cool kids’ umbrella. Kid still need more persuasion? Make their rainy day walk a fun learning experience. These Grass & Air Colour Revealing Wellies are made from cool technology that makes the pattern change from white to multicoloured when it gets wet. Unique and great for teaching them all about cause and effect, kids will be begging to go out into the rain. The fleece lining also means their feet stay dry - that stops the moans that their feet are soggy then. Grass & Air Colour Revealing Wellies, £18. At this age, they’ll be running around enough not to need overall coverage, so continue their colour changing journey with this SquidKids Colour Changing Raincoat. Made from a soft waterproof material, all the white parts of the pattern change colour when they get wet. Throw in the easy to fasten zip and you’ve got a great raincoat right there.